A must-visit destination for those who love the sea and high fashion, Forte dei Marmi is one of the chicest and most up-to-date towns in the Versilia. The small town attracts tourists from all over Europe every year thanks to its beautiful beach, elegant villas immersed in pine groves and the impressive view of the Apuan Alps, which serve as a majestic background behind the town. The symbol of cosmopolitan Forte dei Marmi – in addition to the Fortino that gives the town its name (today the home of the Museum of Satire and Caricatures) – is the famous pier (built in 1876), historically used for loading marble extracted from the quarries onto the boats and which has been imitated by other seafront cities in Versilia over the last few decades (Forte di Marmi certainly knows how to launch trends). 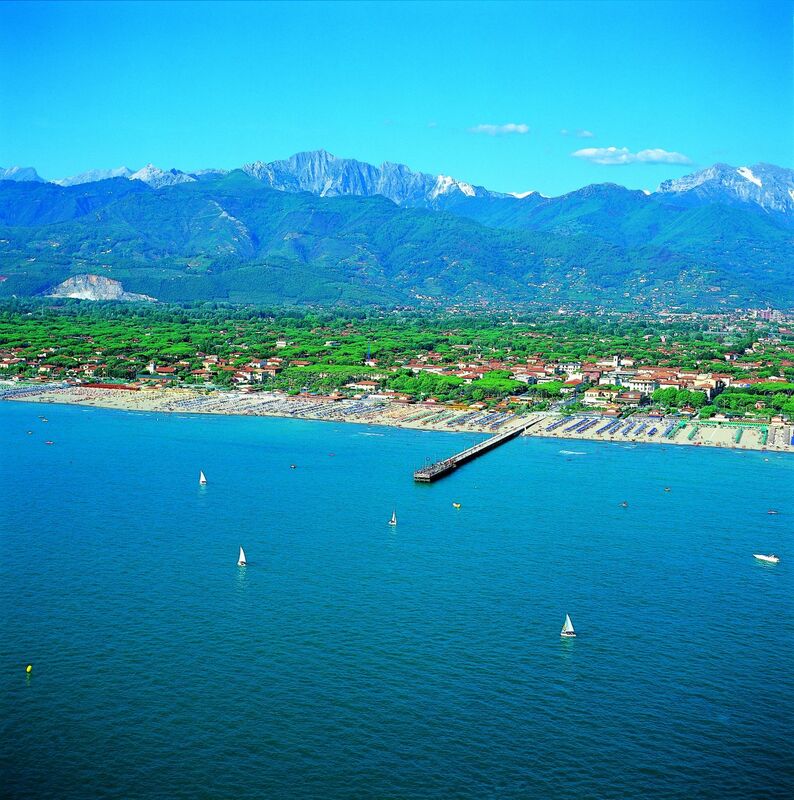 Founded in the Roman era, Forte dei Marmi began to expand consistently in the 16th century due to the opening of the quarries in the mountains behind the town. Around the same time, the Fortress grew through renovation efforts, which continued for the rest of the century. The Fortress was finished in 1788 and by the time the 1800s came about, the Versilia town had started to become the attractive tourist destination that we know today. The ideal destination for international luxury tourism, be it for the beaches and the elegant villas in the town center, Forte dei Marmi is also famous for its festivals (in honour of Saint Hermes and Saint Francis) and for its markets (the antiques market and those in Piazza Marconi and Vittoria Apuana). The backcountry is also worth a visit, full of ancient traditions and hidden corners in the woodlands of the Apuan Alps, inviting you to explore evocative and surprising paths.